I start off with high summer: if I showed the "after" picture you would not be impressed...late winter can be very bleak, and the picture below seems to reinforce all our prejudices. But wait! Winter isn' perhaps as dismal as these pictures would let you believe! I know it looks stark! Just wait.. over the next few months I will try to persuade you to see with fresh eyes and realize that winter has a profound and sometimes even flashy beauty that does not depend necessarily on lights and extraordinary marketing. It is the quiet season and contemplation is somehow enhanced by this. But do not forget the truly wondrous display in Marnie's Pavilion. 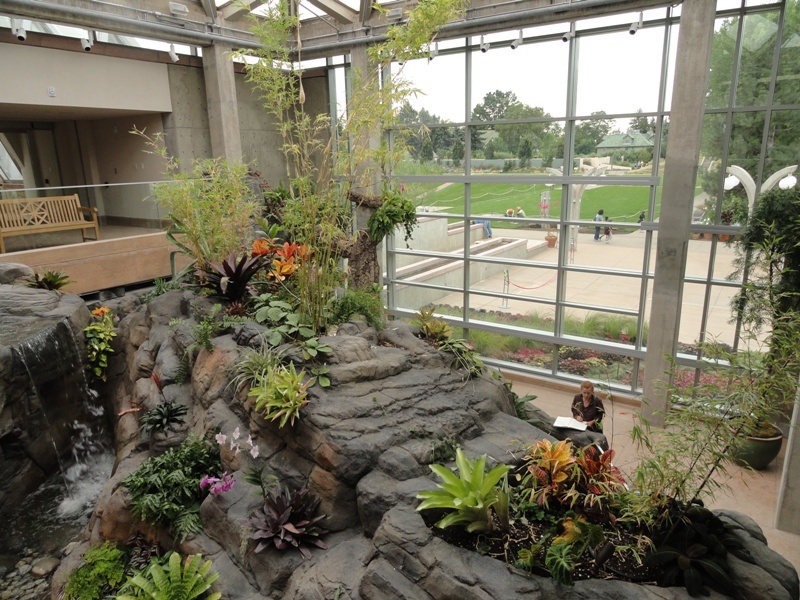 The Boettcher Memorial Tropical Conservatory is always dazzling, however this space was designed to show orchids up close and to let you experience the smaller plants more intimately. Winter is not welcome herein! 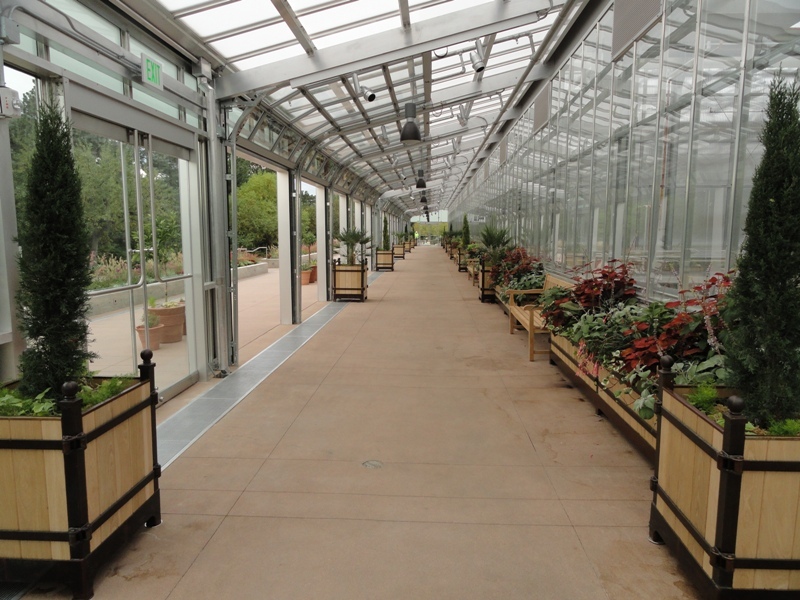 Winter at Denver Botanic Gardens is emphatically NOT just branches, berries and bark! 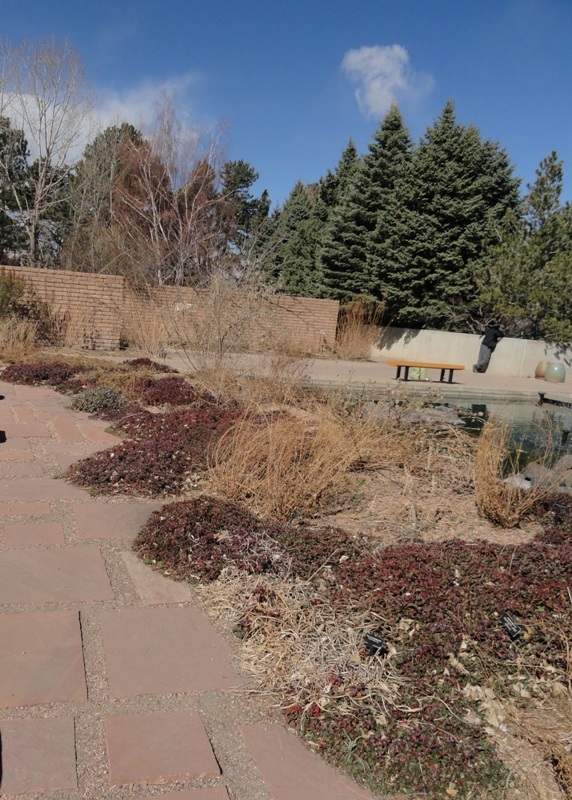 There is something blooming outdoors even in the longest, darkest days of winter...and the greenhouses, Orangery, Boettcher Memorial Conservatory and Marnie's Pavilion are the perfect escape from the doldrums. 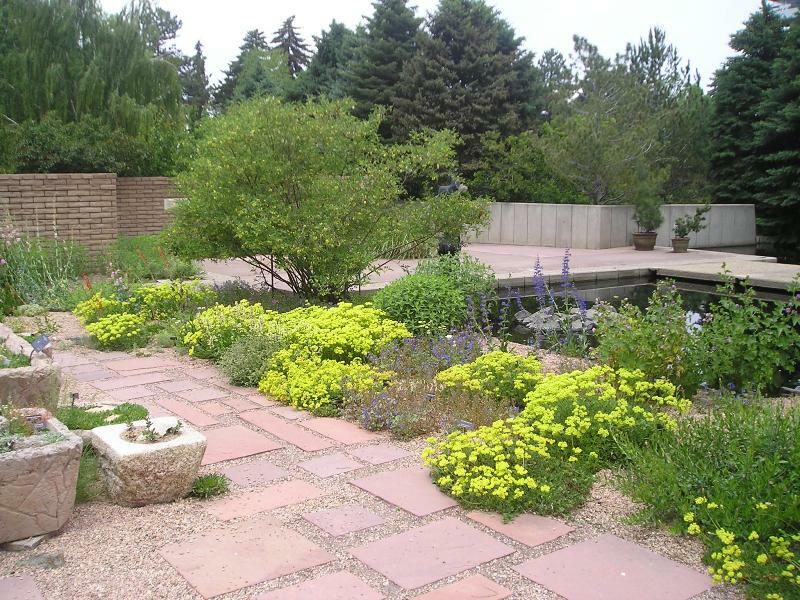 Do come by and visit often in this quietest and most contemplative of seasons!